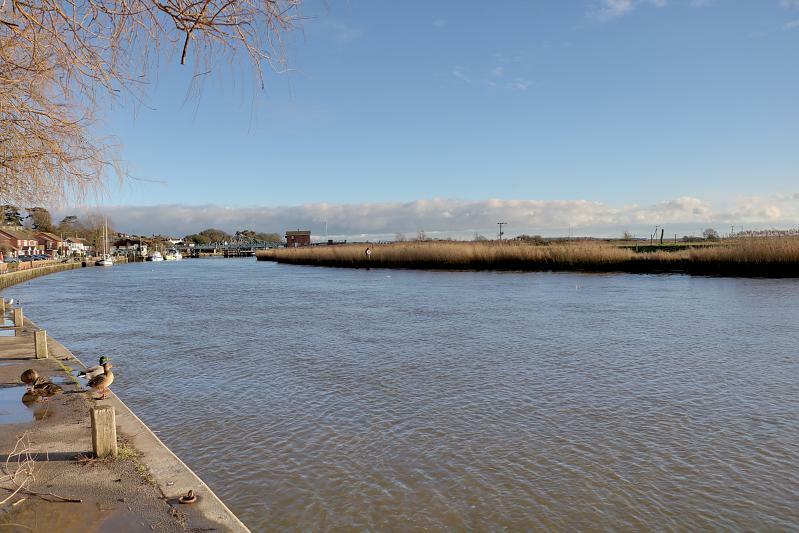 Nestled in the heart of the beautiful Broadland village of Reedham, is this well kept family home with a modern kitchen with a separate utility room and a stunning luxury bathroom. 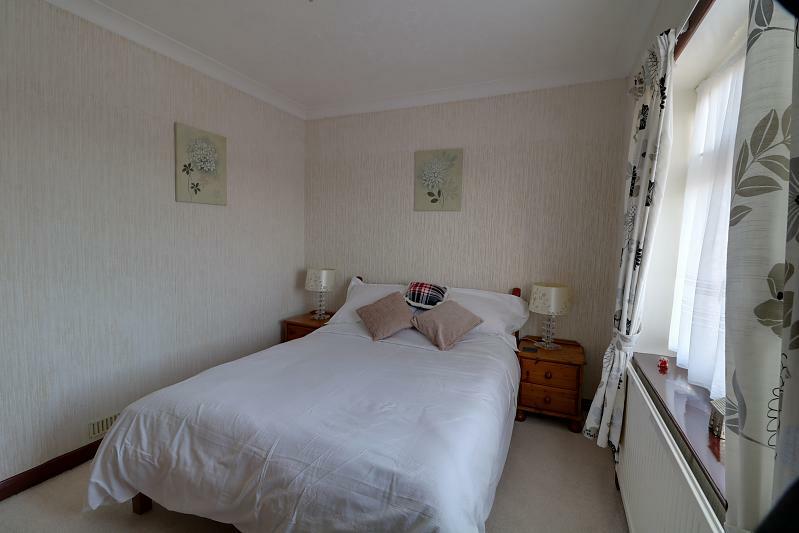 There are three bedrooms on the first floor with a cloakroom and two reception rooms on the ground floor. 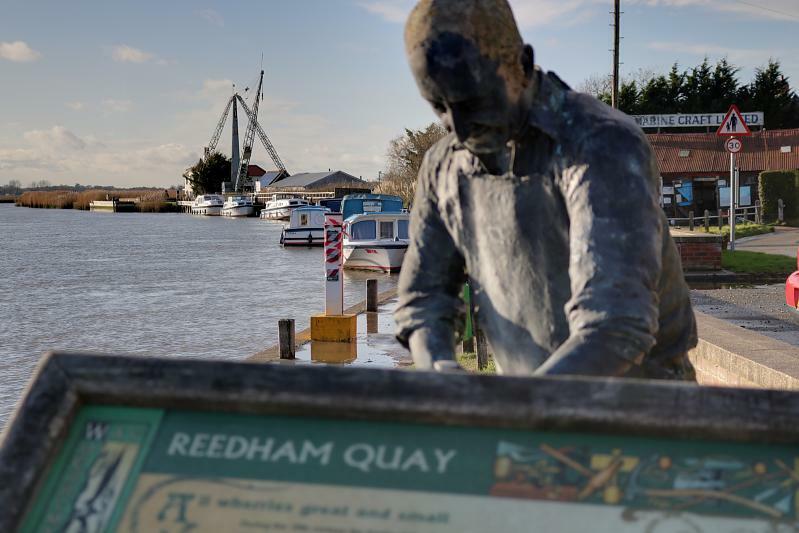 The village of Reedham has a train station, local riverside pub and views overs over the broads and fields. 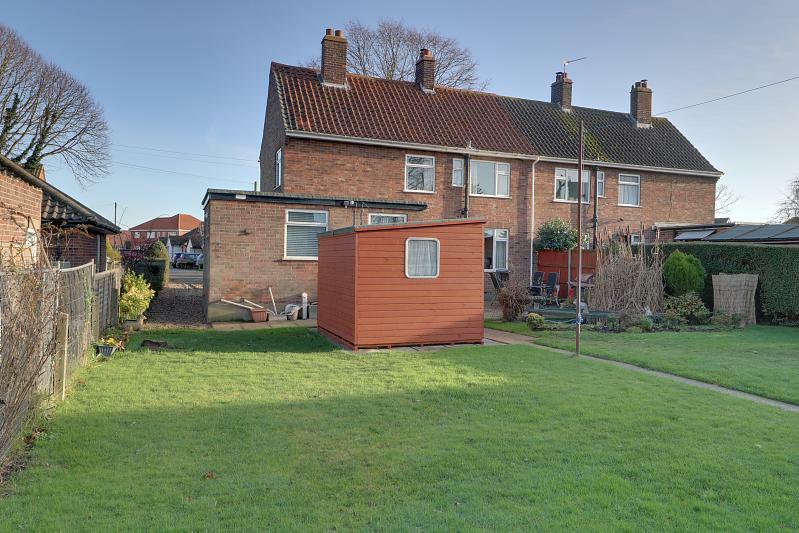 This semi detached house is offered chain free so please come and see! A hedge enclosing the front driveway, a path to the side and front door. Carpet, staircase to the first floor and cupboard beneath, door to kitchen and door to dining room. 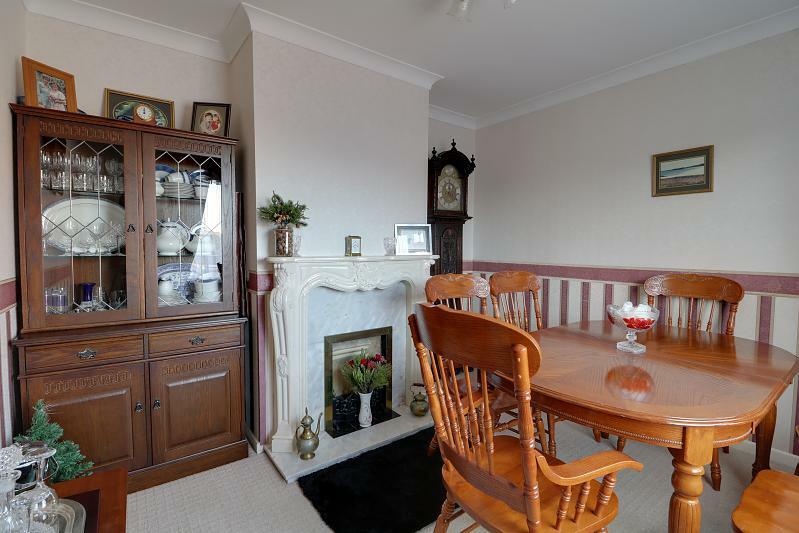 Carpet, double glazed window, radiator, fireplace with ornate mantle piece, ceiling coving. 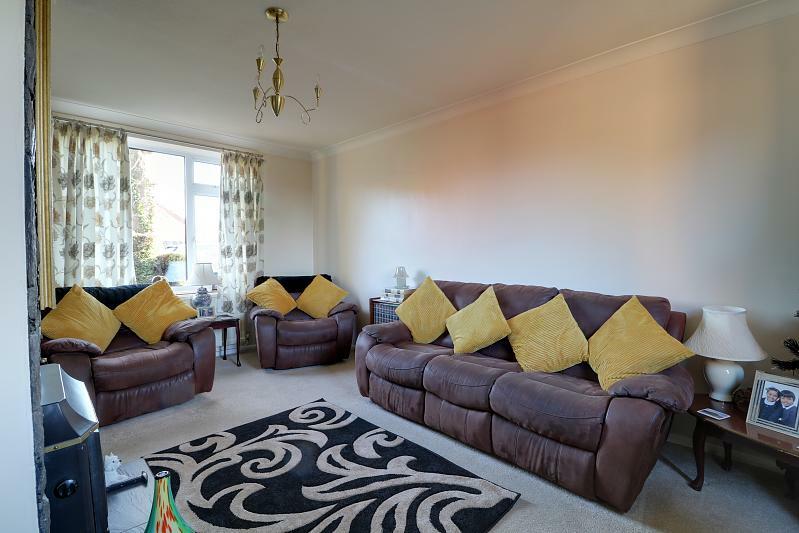 Carpet, TV point, two double glazed windows, coving, built-in coal fire to service the central heating and radiator. 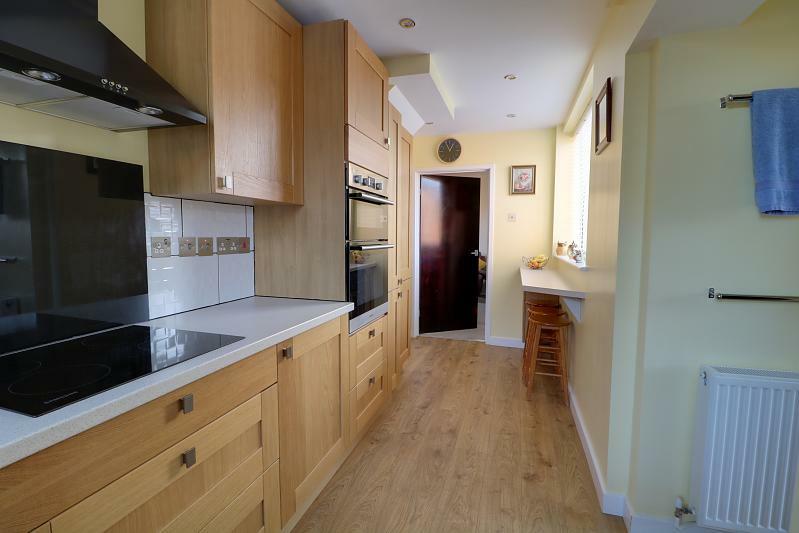 Wood style floor, space for fridge, base unit with work top, double glazed window, LED lights, double glazed door to garden. Wood style flooring, radiator, double glazed window, door to built in cupboard with double glazed window and plumbing for washing machine. 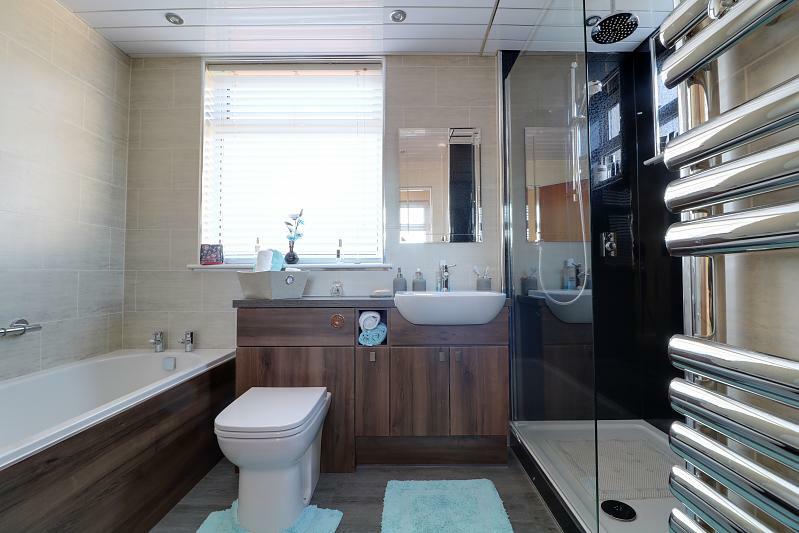 Wood style flooring, radiator, built in drawer unit, panelled bath, frosted double glazed window, low level WC with hidden cistern and hand wash basin with a mixer tap set in vanity unit, tiled walls, double shower cubicle with splash backs, wall mounted shower with attachment and rainfall over head shower, heated towel rail, LED lights. 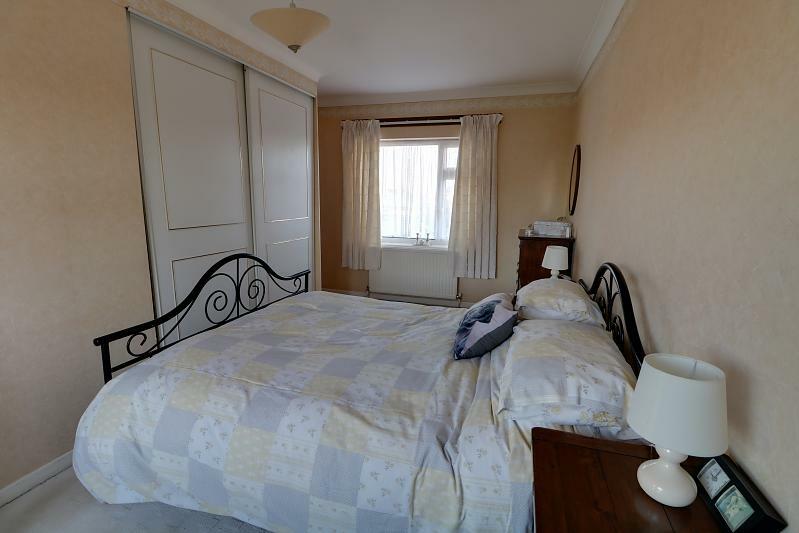 Carpet, radiator, two double glazed windows, built in wardrobe, ceiling coving. 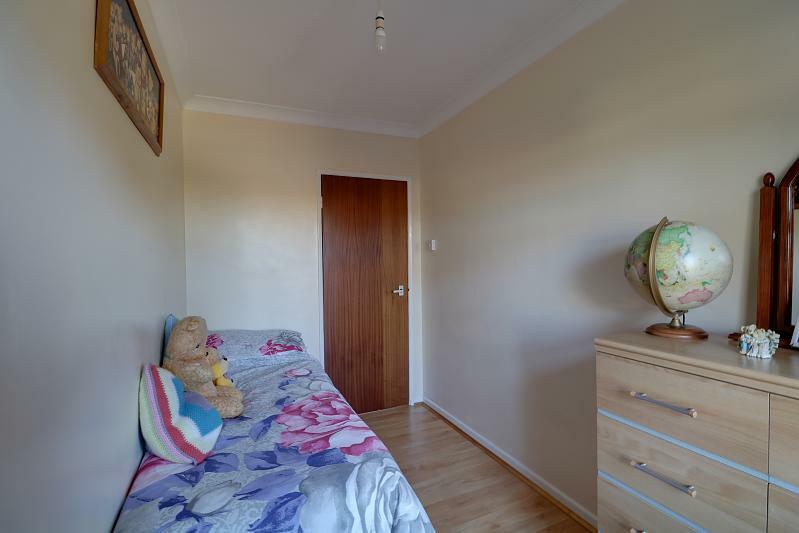 Carpet, radiator, built-in cupboard, ceiling coving. 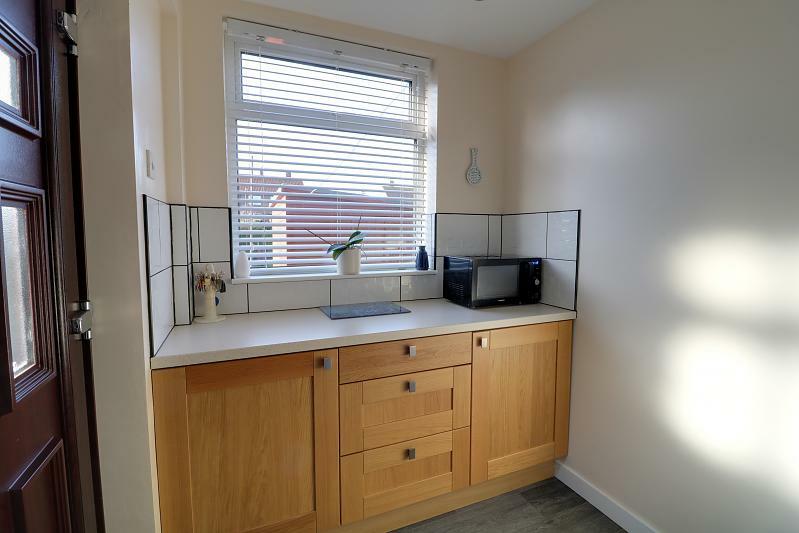 Wood style flooring, radiator, double glazed window and built-in cupboard. Low level WC, carpet, frosted double glazed window. 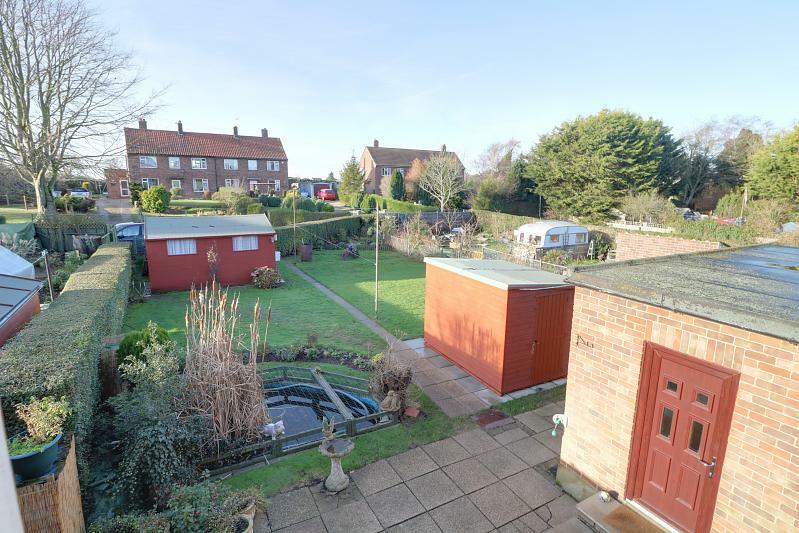 Lawn area, patio, path to rear, tap, electric, two timber sheds with electrics. 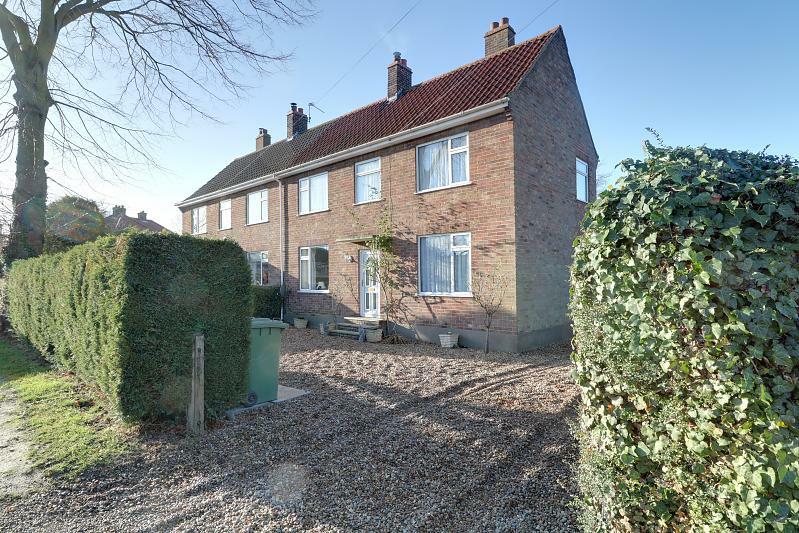 The property is plumbed for oil fired central heating but does require a boiler. 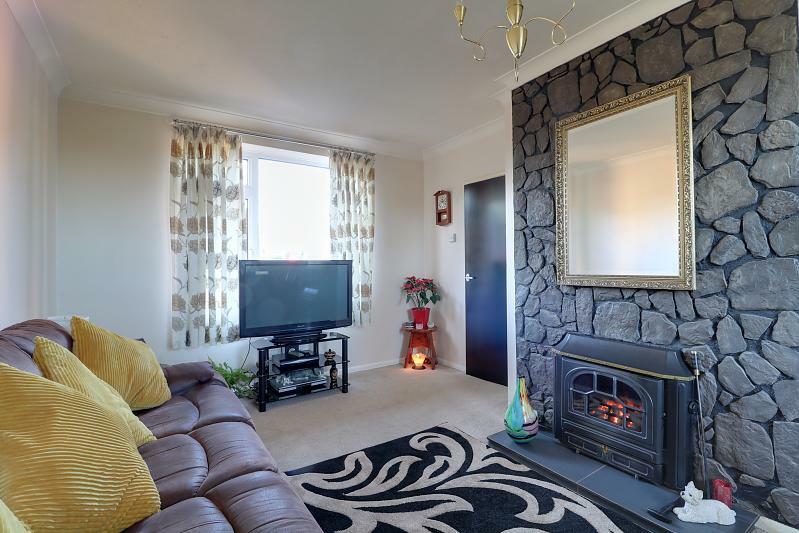 The current vendor enjoys heating from the solid fuel burner in the living room.